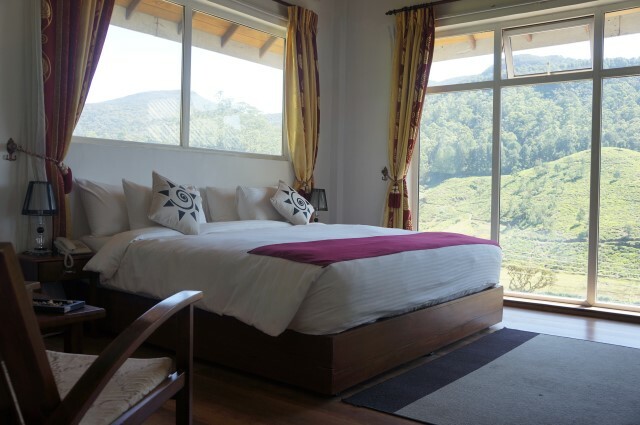 Our deluxe rooms are spacious and well laid out, the bed size is 80”x80” 32” LCD TV, Tea coffee making facilities writing desk, 2 chairs, coffee table as well as nice view of mountain Pidurutalagala in its sights..
Our Standard Rooms come with king-size beds, Tea coffee making facilities LCD TVs .Size : 403 square feet (37.4 square metres). 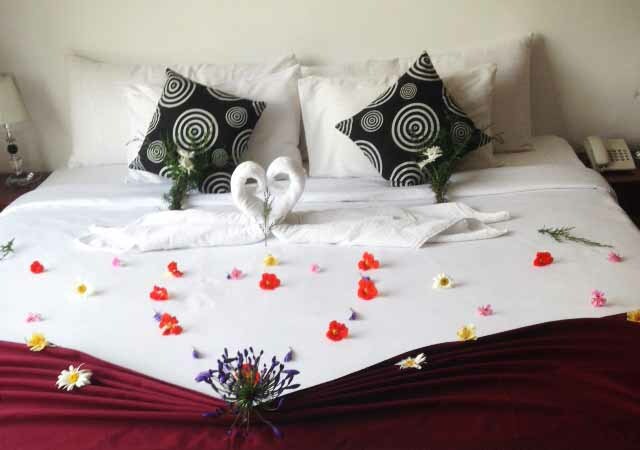 Honeymoon is the most special time of your life and we see to it that you get the perfect ambience of peace, tranquility, romance and above all, the much needed privacy from the world to spend some time in striking that eternal bond for life. After all, marriage planning takes a heavy toll on your mind and body and luxury honeymoon is your deserved getaways to a relaxing and romantic confine.